Meet the well-known artists couple! 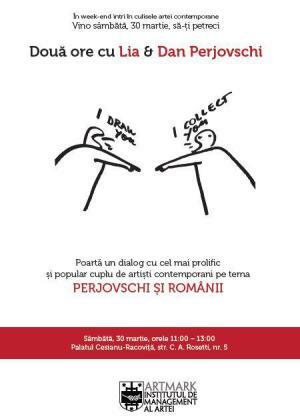 Debate theme: PERJOVSCHI and the ROMANIANS. "Lia & Dan Perjovschi Meeting" Conference in Bucharest. You can get here description, reviews, address, time and details of "Lia & Dan Perjovschi Meeting" Conference in Bucharest. Visit Bucharest Tips for more Conference events in Bucharest!